Carrier offers a comprehensive line of the best quality furnaces/heaters available, with 18 different models to fit a range of needs and budgets. Carrier furnaces/heaters lead the industry in energy efficiency, with AFUE (Annual Fuel Utilization Efficiency) ratings as high as 97.4%. That means that 97.4% of the furnace/heater's energy is being converted to heat, while only 2.6% escapes as exhaust with the combustion gases. 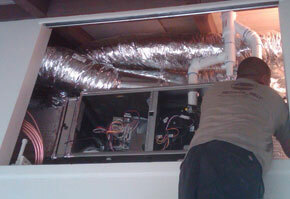 And the higher a furnace/heater's AFUE rating, the more money you'll save on your utility bills. But whether you choose an Infinity Series model with maximum efficiency, or a more economically priced Base™ Series model, you can rely on Carrier's commitment to quality materials and excellence in engineering. From compact models to the quietest furnaces/heaters on the market, Carrier has a system to meet your needs, and every heater/furnace is covered by a 10-year warranty. In addition, when you buy your Carrier furnace/heater from an authorized dealer like Alicia Air Conditioning & Heating, it's backed by a 100% satisfaction guarantee. In a survey of 10,000 builders, builder-developers and general contractors conducted by Builder Magazine in 2012, Carrier was named a heating, ventilation and air conditioning (HVAC) "Brand Leader." Comfort Series Gas Furnaces provide high efficiency, enhanced heating comfort at a reasonable price. Efficient furnace technology helps lower your utility bills during the winter while keeping your home consistently warm and totally comfortable. The Comfort Series includes three different models with options such as stainless steel heat exchangers for lasting durability, a sealed, low-noise combustion system for quieter operation, and a high efficiency air filtration cabinet for greater energy savings. If you're looking for increased comfort and energy efficiency but still have a budget to consider, Carrier Comfort Series Gas Furnaces are a great value. Carrier Performance™ Series gas furnaces/heaters use advanced technology to provide long-lasting, incredibly quiet and highly efficient heating comfort. With six different models, the Performance™ Series heaters/furnaces offer a variety of options to meet almost any need. These systems are a great value and a smart choice for any Orange County home. As the quietest, most energy efficient and technologically advanced gas furnaces/heaters in the industry, Infinity® Series systems are the gold standard in heating comfort. Infinity® Series gas furnaces/heaters provide superior comfort and intelligent controls that are safe, energy efficient and convenient, including Pilot-free PowerHeat™ ignition and up to 8-zone programming capability on certain models. The Infinity® Series also features models with a variable speed blow motor that operates in the lowest possible setting, minimizing sound and saving you on utility bills. 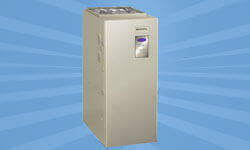 Infinity® Series models even regulate the humidity in your home. 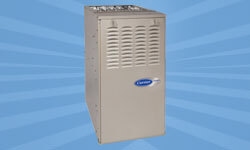 With Carrier Infinity® Series gas furnaces/heaters, you know you're getting the best heating system available. He could have sold me a new circuit board and I'd have been none the wiser, but he didn't. Mike's ethics and service is rare in this economy and should be recognized. Please know that when I am ready to replace my FAU, I'll be looking . . .